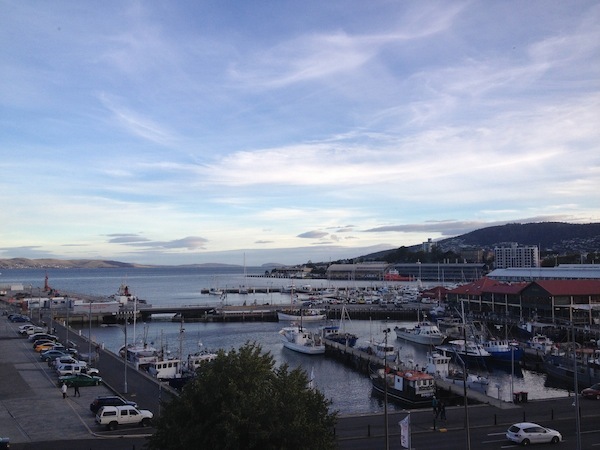 Charl was invited to speak at the Australasian Colloid and Interface Society’s Biennial symposium in Hobart, Tasmania! He spoke about some of the work from the FRG in the area of electroactive materials. It has been a great meeting so far and a good chance to meet up with some old friends (like Dr Rico Tabor, now from Monash University)! And all of this taking place in a wonderful setting! This entry was posted in Collaborations, Presentation and tagged Collaboration, electroactive, invited presentation by Faul Research Group. Bookmark the permalink.